Umiro – Games for Android 2018. Umiro – Draw your way to victory. It’s hard to believe that Android has been around for almost ten years at this point but here we are. And that means the market has had plenty of time to mature when it comes to game selection and, unfortunately, fill up with a lot of junk. Fortunately, games like Umiro for Android exist. 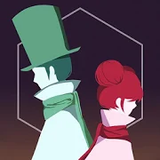 This is a puzzle game that brings a pretty novel experience to the platform in a great package. Umiro is a puzzle game but it’s a little more than that, too. You won’t be solving traditional puzzles like matching things or trying to figure out riddles. Instead, you need to navigate a character as he makes his way through treacherous levels, and you’ll need to do so by drawing optimal paths for your character to run through. Each level is broken up into crystals. You’ll draw a path from one crystal to the next until you make it to the last one, and the last crystal is your exit. The Crystals can be done in any order but you’ll definitely find that the levels tend to segment themselves into logical paths. The real difficulty comes in trying to time your paths around moving objects. You’ll draw a path, and then have to take timing into account. Will your path leave you in a position where your character will get hit? Umiro is a great game that is relatively cheap at just $2.99. The puzzles are challenging right off the bat and while there isn’t anything to unlock, the gameplay itself should be enough to pull anyone in.